Samsung may still be selling most Android handsets in the world, but their numbers have been dropping earnings report after earnings report for a worrisome time. It was only recently that people were starting to become tired of Samsung’s sub-par design and build quality. Nothing was improving profits and Sammy was falling into its impending doom. In an effort to turn things around, they took their team back to the drawing board and created what would be the solution to their problems – the Samsung Galaxy S6 and Galaxy S6 Edge. Compared to previous Galaxy S smartphones, these new flagship handsets were masterpieces of design and engineering (read our Galaxy S6 and Galaxy S6 Edge reviews). These handsets are powerful, snappy, full of helpful features and, finally, they offered a design worthy of pride. It was a new era for the Korean manufacturer and Q2 of 2015 was the quarter when they would shine… only they didn’t. 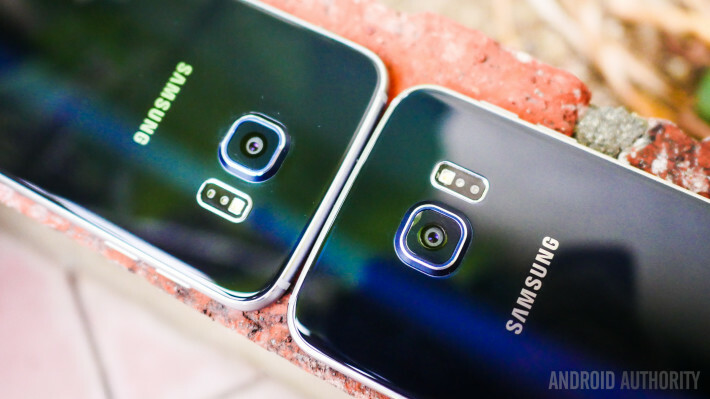 Despite the release of the Samsung Galaxy S6 and Galaxy S6 Edge super phones, Samsung is estimating yet another lackluster quarter. Their earnings guidance report for Q2 of 2015 shows the company should conclude the time period with approximately 48.0 trillion Korean won in consolidated sales and an operating profit of about 6.9 trillion Korean won. This would translate to a 4% decline over Q2 of 2014. Shall these estimations be correct, it would mean Samsung’s 7th consecutive quarterly profit drop in a row. Definitely not a good sign, especially considering this is the very first quarter report in which the new Galaxy devices are taken into account. Is Samsung’s bad reputation preceding them? Likely, but that is probably not the only factor that comes into play. Samsung has been facing supply issues for the Galaxy S6 Edge, a phone with immense demand from consumers. We all love those beautiful Edge displays and the new elegant design – it’s likely catching a lot of people’s eyes. If Samsung can’t meet demand, we definitely have an issue at hand, and it’s reflecting in their numbers. We are definitely fans of what Samsung did with its latest high-end smartphones, but we know they could do much better (especially in the battery department). There’s a saying that goes “build up a reputation and then you can go to sleep”. Sadly, this works the same way for negative reputation. Samsung spent many years creating a fame for bad design, and long-time opinions are hard to kill. Maybe things will turn up if they continue to improve their manufacturing strategy. What do you guys think about this situation, though? Would you say Samsung is on its way out and a new Android manufacturer is soon to take the crown? Which phone maker do you think would be the next ruler?